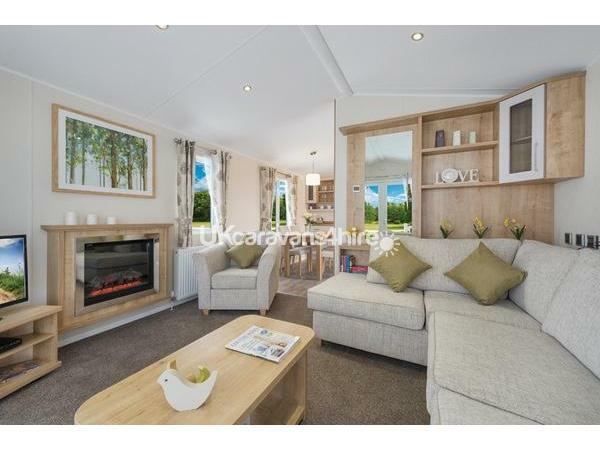 We have recently upgraded to a modern 8 Berth Static Caravan 2016 Model with front and side decking. 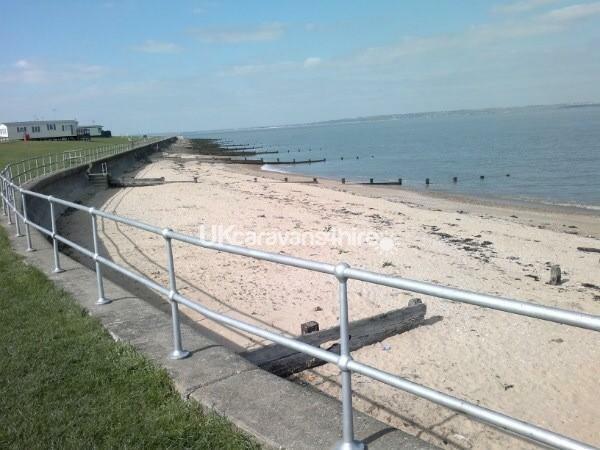 Allhallows Leisure Park is situated on the beautiful Kent coast over looking the river Thames . The Park is well managed and maintained and also incorporates it's own 24 security team. 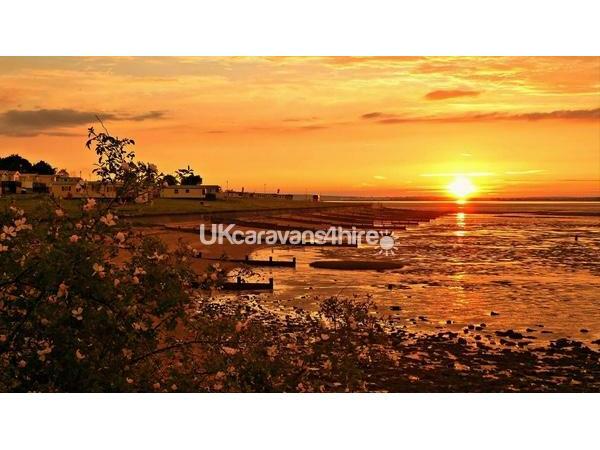 Country pubs , scenic walks,Rochester, castle and cathedral, Dickens World,Chatham historic Dockyard and just 35 miles from London or Dover. 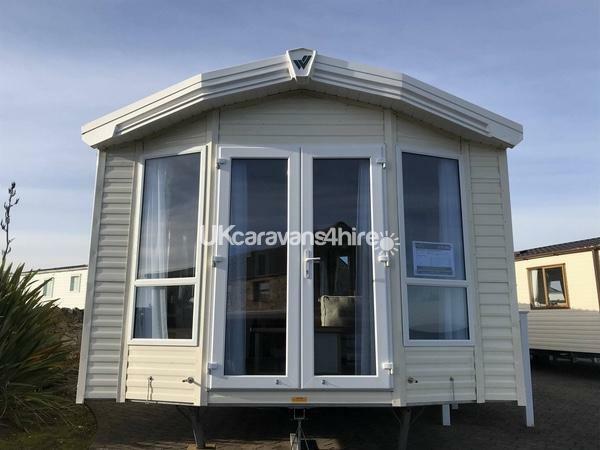 Lovely, modern caravan with superb decking. Really enjoyed our stay. Thanks Steve, hopefully we can stay agin next year?! The caravan was absolutely immaculate, we couldn’t have asked for better. Steve provided us with everything you could possibly need. The immediate area to the caravan was extremely peaceful and we’d love a return visit in the future. The only thing that made me slightly nervous was that Steve himself couldn’t meet us but it did not affect our stay. Would definitely recommend to friends and family. I booked a couple of days for my daughter and i at the last minute. And was very impressed with the response and how helpful the owner was. The caravan was like home from home. We had a very relaxing couple of days. The site has everything you need. Will definitely be back for another break. I am writing another review as when it said accomedation i thought it meant bedrooms. 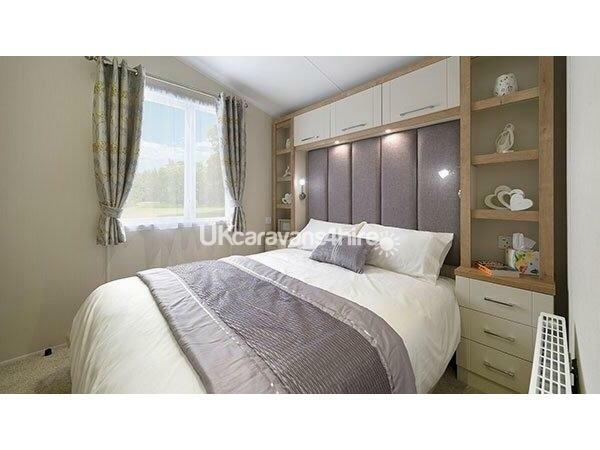 This caravan is a fantastic place my daughter and I had a fantastic relaxing couple of days. The park has everything you need for a family. I will personally be booking another holiday with the owner. We were lucky to be one of the first families to stay in this new caravan. 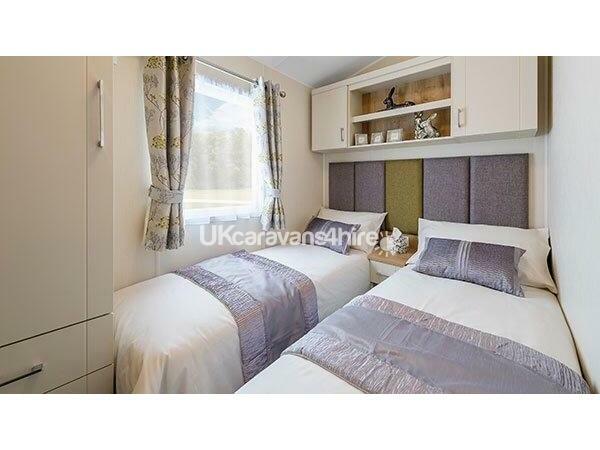 Beautifully furnished, very clean & the bonus of 2 toilets, very useful for a family of 5! (Especially when 2 of you are desperate coming back from the evening entertainment ????). Steve was very obliging & delivered a brand new iron, ironing board & DVD player on the first day, after initially welcoming us on arrival. We had a brilliant view of the estuary from the patio doors & regularly our 20 month old would look out the window & say ‘boat’ as the big liners went out to sea. Only a short walk to the complex & far enough away from the noise at night. There was nothing that we felt we needed regarding the caravan. The choice of central heating, fire & blown air kept us very cosy on the chilly evenings. The site is a nice one, not too big & lots for the children to do. Although we go out a lot & explore the area, a brilliant base for London (40 mins by train from Rochester station). We also visited Southend on sea, Whitstable & Westgate On Sea. We have stayed in quite a few different caravans on different haven sites & this is one of the top. Would recommend highly ????. We stay at this site often, great facilities, reasonably priced, staff and management competent and always make our stay a fun one. This was the fiirst time staying in an owners van but at half the price Haven charge, which was a bargain. Just a short walk to the club house and on a straight route, no chance of losing your van, it's location is great and has so much space for the kids to run around or use their bikes; with some good views of the river too we certainly were not disappointed. 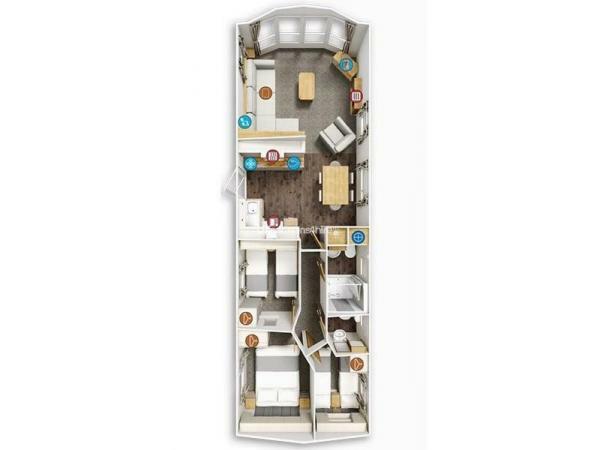 Spacious and a great layout, three bedrooms with a large bathroom in our opinion and a second toilet which is essential with a family of seven! Towels included, but you do need extra so bring your own too. Lots of extras in the kitchen, use of a bbq, and plenty of outdoor seating/tables, some garden toys for children under 10. Complimentary travel cot with plush mattress for once (just bring plenty of cot bedding), all bedding was freshly laundered and made up on arrival. Steve was easy to deal with and I had no problems with communications or payment. Would stay at his van again and recommend it highly. Fantastic holiday!! 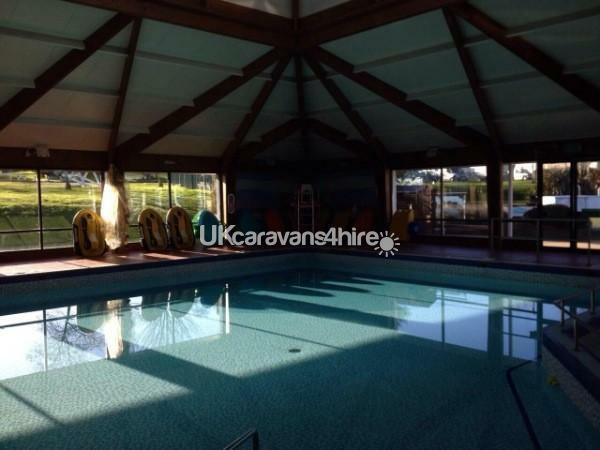 The caravan itself was immaculate, very well equipped and a great pitch with loads of space for the children to play and being only 5 mins max walk to the reception/swimming pool/bar and restaurant. The park and staff were amazing, and brilliant with our 5 children! There were loads of activities to keep the children going and give them lots of different experiences whilst we were there. They were absolutely gutted to have to go home!! Steve himself was incredibly helpful, informative and a pleasure to book through. We will most definitely be booking through him again!! Thanks for a great experience Steve. The caravan was very clean, I mean super clean. We really enjoyed our holiday in the caravan. Steve and his family are kind and professional. The caravan was clean and well equipped, also it was a safe place to be. We could explore the local area which was a great experience. We can recommend this private caravan as a nice place for your holiday.Thank you. The caravan was very clean, tidy and well kept. Also one of the most spacious we have stayed in. Even with three kids in late teens to early twenties, it did not feel cramped at all. Steve was very professional throughout. For families with young children the site offers plenty to do, and for families like ours, or couples, it makes a perfect base to explore the local area, and only a short journey away from London. Would certainly like to go back again. As a retired person it is a lovely location and has all the facilities available for a family holiday. clean and well kept. My friend and I will certainly go back again. Value for money all size family holidays. Have just returned from a fantastic holiday at this lovely caravan. Clean, modern and well equipped. 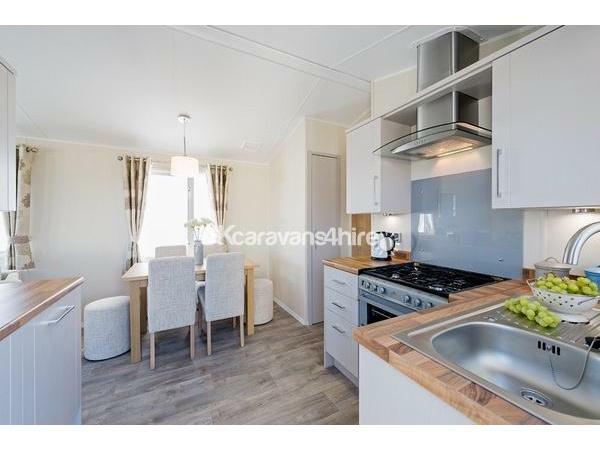 The caravan is situated at a good location from the amenities and sTeve was a pleasure to deal with. Allhallows itself offered plenty to do and the staff in reception were wonderful. Would definitely stay again upon returning to the area. 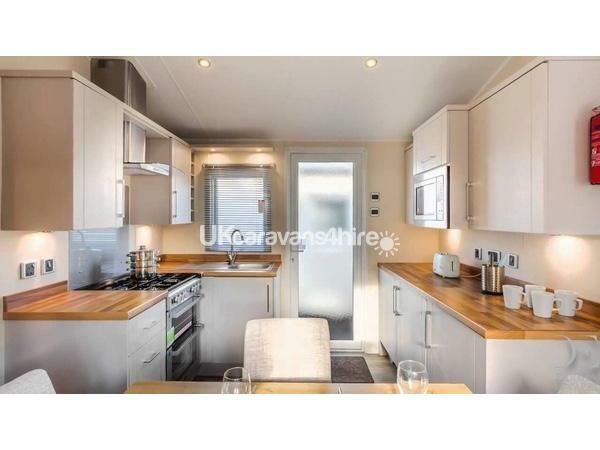 The caravan was absolutely fantastic, with everything you need and more, home from home, at a high spec. We especially liked the childrens room. 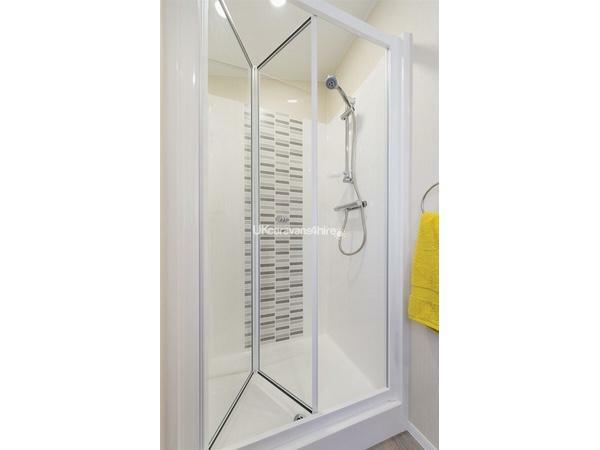 It was spotlessly clean, well kept and great value for money. Steve was very professional throughout and went the extra mile in making our stay wonderful. We would definitely recommend and we hope to return soon.